To understand & interpret over 10 research papers in order to produce a designed and easy-to-understand booklet highlighting Key Petcare Merchandising Principles. 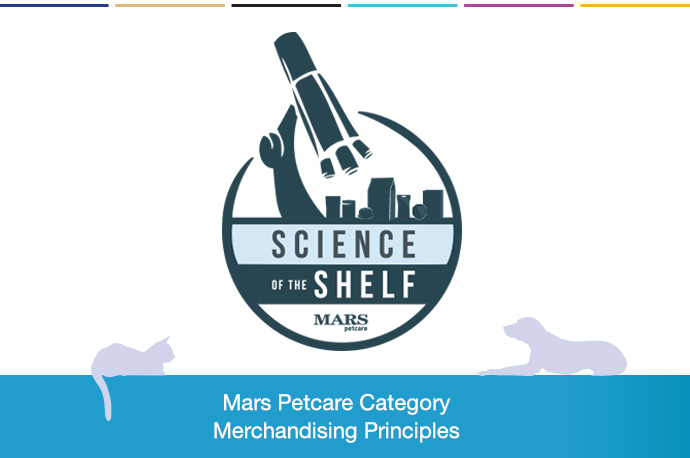 Working in partnership with the UK Petcare Category Team, melli helped to bring to life the Key Merchandising Principles communicated to the wider Petcare team, not just in category, but also in the Sales and Marketing functions. Melli took the original research data and used it to develop clear, concise and designed outputs, which was key to educating the Mars team, as well as helping them to incorporate the merchandising principles into their accounts. This output informed future category-based initiatives developed by each account team. Carefully considered and easy-to-understand industry leading Merchandising Principles, which formed the basis of highly positive category-focused initiatives.